Scientific American published a great article last fall that looks at the research surrounding diversity in ways I'd never seen before. Author, Katherine W. Phillips, summarized decades of research by organizational scientists, psychologists, sociologists, economists and demographers, showing that socially diverse groups (that is, those with a diversity of race, ethnicity, gender and sexual orientation) are more innovative than homogeneous groups. It seems obvious that diverse individual expertise would better contribute to complex problem solving. It's less obvious, however, that such social diversity would work the same way in groups. People with different backgrounds bring new information. Simply interacting with individuals who are different forces group members to prepare better, to anticipate alternative viewpoints, and to expect that reaching consensus will take effort. Diversity pushes innovation. It provokes thought. It powers anticipation. "The pain associated with diversity can be thought of as the pain of exercise. You have to push yourself to grow your muscles. The pain, as the old saw goes, produces the gain. In just the same way, we need diversity--in teams, organizations and society as a whole--if we are to change, grow and innovate." Read it here: Scientific American, "How Diversity Makes Us Smarter"
“Major Motion Pixels…hmmm…I like your company name.” That’s typically the reaction I get when I introduce myself or exchange business cards with colleagues and clients. Where did it come from? How did I come up with that as a name for my company? In the early 2000’s, the media marketplace was turned on its head. Digital media, digital distribution, and expanded bandwidth changed EVERYTHING about how business was done, and how the creative process worked. Although my forte was as a developer of business, writer/director and executive producer of content—and not as a cameraman or editor…I was intrigued by the possibilities of technology. My career had evolved from newspaper, radio, television/production, and public relations. I had a Master’s Degree in Learning Design & Technology, and now, what began as “distance learning” and e-learning in a collaborative on-line environment was enveloping the marketing and communications field with new forms of digital media. Social media propelled everything forward even faster. 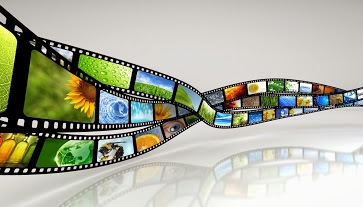 I began looking for ways to use media differently incorporating technology, and we created and produced motion media, animation, video for web-based, social, mobile, display, and all manner of e-distribution to inform, inspire, instruct, engage, empower, explore, motivate, push, and propel business in ways never before possible! Since that time, I’ve worked with clients in the public and private sector to envision new futures, tell fresh stories, look at things differently, and engage with audiences more completely and transparently. It’s a great ride, and continues to impress and amaze me. What we can dream about is now possible to create. What would have been considered “major motion pictures” just a few short years ago, may now be Major Motion Pixels. What’s next? Whether it’s nano, mobile, cloud-based, codecs, metrics, or wearable…we’ll continue to involve audiences as never before. Hang on! For more on media and communications, go to www.majormotionpixels.com! Major Motion Pixels, Inc. is now, officially, a VERIFIED Service-Disabled Veteran-Owned Small Business, or SDVOSB. This certification/verification means MMP underwent immense scrutiny by the U.S. Department of Veterans Affairs, and the company came through with flying colors. Congratulations to us! The SDVOSB verification carries with it certain contracting preferences. More info at: http://www.sba.gov/sdvosb. How many interviews have I done for corporate video? At least 100. All kinds of people…NFL players, CEOs, Federal agency directors, billionaires, Admirals and Generals, technologists, veterans, military service members, politicians, academics, scientists, middle managers, entertainers…the list goes on. Whether stand-up exteriors, or sit-down in studio, I enjoy these conversations. When I prepare for interviews, I craft questions that will get at what, exactly, we are trying to communicate. Because I want the editor to have the best possible “selects” to use, I’ll sometimes ask questions in different ways. Sometimes I’ll circle back, and re-ask a question again. Describe why you think “x” has changed? What’s the biggest challenge of “x”? How do you define success of (achieving) “x”? What is often misunderstood about “x”? What would you like people to remember about “x”? How do you see “x” five years from now? 10 years? 15 years? In ONE word, how would you describe “x”? Is there anything I HAVEN’T asked, that you’d like to tell me? Because I’ve done so much of this, I am usually editing the responses in my head for the video, as I conduct the interview. Those responses later jump out at me from the transcripts, and make it much easier in post-production to find the thread of the story, punctuate the story, and leave audiences with memorable take-aways. Do you have a favorite interview question you've asked, or that you've been asked? 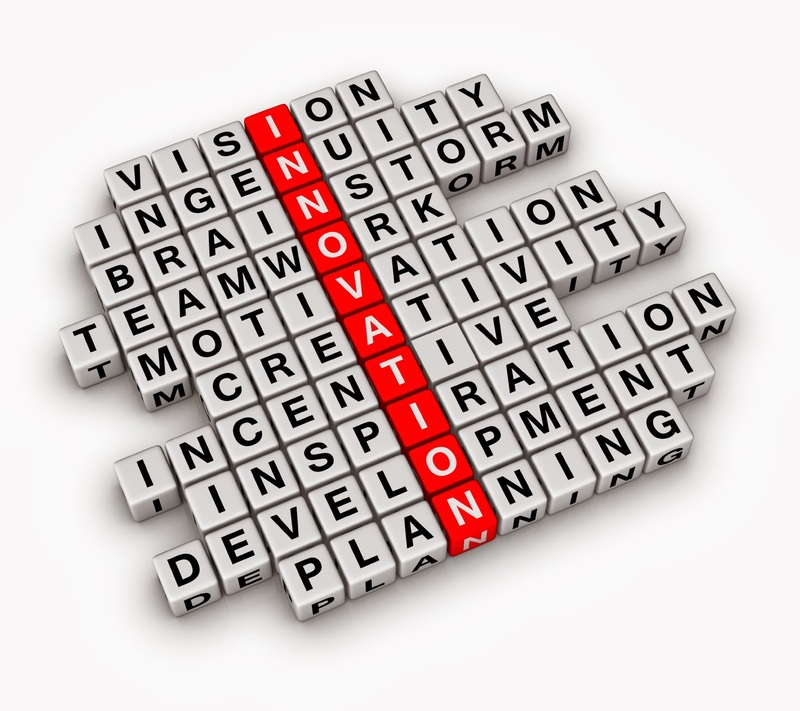 To create or to innovate...that is the question. Isn’t it interesting that one, single moment can shape your career? And isn’t it interesting that the one, single moment doesn't have to be particularly monumental? But if you explore that moment, and express it…it can influence and define you. My moment was when I was working on a video project for a San Diego high-technology consortium known as CONNECT. They were working with the much-loved La Jolla Playhouse to host a signature event to celebrate innovation in technology and the arts, called “Innovation Night.” It was a truly momentous occasion to bring together technologist and artist innovators for a lovely evening of networking and a performance of ground-breaking theater. This video presentation was designed to allow the crowd to settle into their seats and kick off the evening's entertainment, with INNOVATION in mind. In the course of directing and producing the video for this event, I conducted several interviews with actors, theater and creative directors, financiers, technologists, and policy leaders. What did I hear during those interviews that created this defining moment? Each of these people I interviewed was on a quest for discovery, for invention of something that was fresh and adventurous. And they needed to find a way to express it. And to share it. These interviews and conversations rocked my world. Think: with a push of inspiration and innovation, you might realize you are dissatisfied with the way things are, you believe things can change, and you want to create the change that will make something better. Click here to watch the video for INNOVATION NIGHT. Beyond the mandate, the mundane, the routine, or the motivating and congratulatory need to communicate…serious legal matters, downsizing, budget cuts, human crises, and critical emergencies require timely communication. 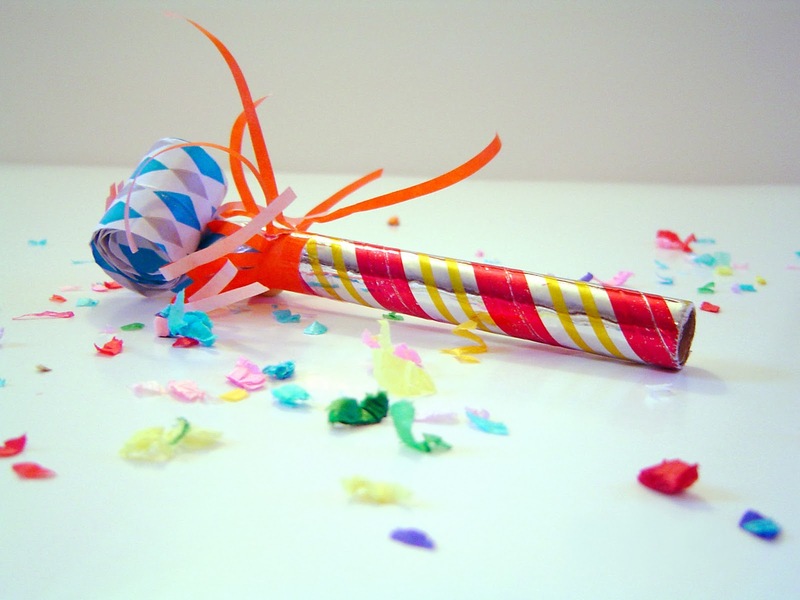 After all the New Year celebrations are over, serious news in 2014 may call for engagement more than anything, and here are some of the best basic ways to connect with an audience across all communications channels. Even during times of seriousness, perhaps more so, it’s important to use STORY to communicate. Authentic situations and characters, or anecdotes, to which your audience can relate make the impossible-to-imagine, the abstract, and difficult-to-swallow subject matter RELEVANT. Hearing from leaders (and I don’t mean CEOs necessarily) is also an important way to convey the seriousness of the subject matter. A respected expert in the field, a company “hero,” a celebrity or other high-visibility individual who has a stake in the outcome or cares about the subject matter…these are potential messengers of important information—as long as the messenger MATTERS to the audience. Yes, recognize and acknowledge the seriousness of the situation. But instead of focusing on reduced funding, challenging markets, or critical safety violations…it’s important to stay focused on WHY you are communicating with your audience. What is the vision, the endgame? Have a problem with product quality? Communicate to let your employees and the customers/public know what happened, what you are doing about it, how soon it will be fixed, and how you are going to ensure quality going forward. Facing budget cuts and downsizing? Communicate fairness, transparency, responsibility, and transition. Have a tragic workplace act of violence? Communicate to inform, to comfort, to support, and to try to make sure nothing like it ever happens again. Have safety issues on-the-job? Communicate to let your employees know their safety is your first priority, what you’ll change to support that, and to assure management/congress/stockholders/taxpayers that you are taking action, and how. However serious the current situation, it does not DEFINE the company, the organization, the agency, or the employees. Whether you're communicating from a combat zone or a corporate boardroom, make a New Year's resolution to...be timely, stay relevant, make it matter, and stay focused on the optimal outcome. For more on media and communications, go to: www.MajorMotionPixels.com. What do you mean, Happy Holidays? It's occurred to me that holiday greetings and salutations are similar to business communications. We have to consider our audiences, know our intent, and communicate clearly focused on the desired outcome. 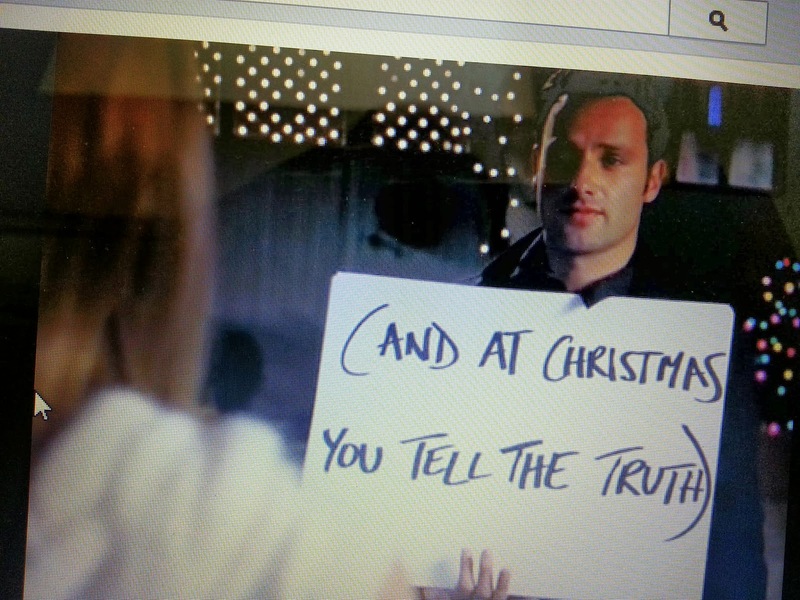 In the movie, Love Actually, arguably a modern day Christmas classic, Mark finally blurts out his true feelings for Juliet via cue cards at her doorstep. Our holiday greetings don't need to be a confession, but if we peel away the layers of every variation of Happy Holidays, Joyeux Noel, Buon Natale, and Mele Kalikimaka, they all have something in common...an intent to wish something good, as Tennyson said, "...peace and goodwill to all mankind." Say what you mean, and DO what you say. Express it in the best way you possibly can. And overspread the future years with hope." All the very best to you and yours this holiday season and in the New Year! More about media & communications at www.majormotionpixels.com. Janet Dahle & MMP design and produce video, animation, & multimedia for corporate clients. Expert communications for marketing, PR, HR/training/e-learning. Principal Janet Dahle's extensive media background includes traditional film and video, as well as development of innovative content for online and emerging media applications…including corporate communications, educational games, social networking, and integrated digital distribution across multiple platforms. As a Captain in the United States Navy Reserves, her Public Affairs work (both domestically and overseas) includes developing strategic communications plans for senior United States Army and Naval leadership. Experience conducting press briefings, developing talking points, writing press advisories/releases, responding to media queries, and initiating pro-active media contact. She has worked closely with many major news organizations, including ABC World News Tonight, Newsweek, USA Today, London Times and a wide variety of other international news organizations. She was awarded the Defense Meritorious Service Medal for her work in support of Combined Joint Special Operations Task Force—Arabian Peninsula (CJSOTF-AP) during a recent deployment in Iraq.